This rating is based upon the 2017-2018 season and nothing more. 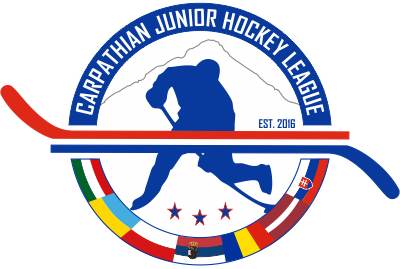 The criteria that was used in rating these leagues, was how do teams within the leagues compare when developing players who move on to the NHL, NCAA, Canadian University, the USHL and Major Junior hockey programs. The size of the league as in number of teams was also taken into account for depth of player talent throughout the league. THIS IS NOT TO BE SEEN AS A DESCRIPTION OR STATMENT ON ANY LEAGUE LEVEL OF COMPETITION. Again this is not a historical account of each league but a rating based upon last season alone. We hope this series of articles is informative and promotes a healthy discussion. The NAHL is simply light years ahead everyone else. No other league comes close to matching the player marketing of the NAHL. From very well executed events, an incredibly active stream of player marketing, to a propaganda department like none other. The NAHL simply out works every other league when it comes to moving players on to higher levels. The BCHL is still one of the top development leagues in the world and is well scouted. The BCHL continues to lag behind the NAHL in player development volume and marketing reach. With NCAA scouting being influenced by travel budgets, the BCHL must make some changes to its player promotion system in order to maintain a hold on its number two position. A well run, well established league that is focused on developing players. The AJHL continues to press forward with new promotional initiatives for its players and it is paying dividends. Creative minds are ditching some of the old and antiquated ways of viewing player development and promotion at it is paying dividends. In its first season the NCDC found that Tier II is not as easy as some thought it may be. Scouts expect more at this level and by the end of the season the NCDC teams were giving more in the way of NCAA commitments. With a move to limit the number of 20 year old players in 2018, the league will be younger and have a deeper NCAA prospect pool. A league with a talent level that is already rising in year two. The OJHL survives on its geography and proximity to scouts for their advantage over other leagues. The OJHL is still producing and developing many talented players moving on to higher levels. This top five ranking is precarious as commitment numbers continue to drop and innovation in player promotion is virtually non existent. Many now complain that the league now is simply a cash grab. The Manitoba Junior Hockey League continued to make changes and increased their player promotional efforts for the 2017-2018 season. The league will have to do more in order to maintain its standing as other leagues are gaining. The CCHL continues to be a top developer of players in Canada. While a great league, complaints regarding rising player fee’s continue to grow in number. Initiatives disguised as player development are not panning out in the eyes of consumers and they are growing tired of the same old requests to attend the same old meaningless camps. The SJHL has risen in their effort to promote players upward. While a focus on winning games within their league is still the priority, leadership worked harder last season to get more scouts involved. The SJHL should continue to improve their standing with this new effort that is player centered. 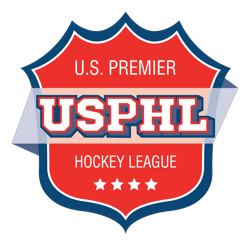 The SIJHL continues to fail to live up to its potential. But some teams are making more efforts despite the league offices. Look for new initiatives to continue to take hold as some ownership groups become more proactive on behalf of the players. The NOJHL, has been slipping. Slipping in player marketing and advancement. NCAA development continues to decline as the league can not figure out if it is developing players for the OHL or NCAA. Until direction is clear, players will continue to move to other leagues. The Maritimes is good hockey. That’s about all you can say. Little movement anywhere. Highly skilled players and no plan to promote them that anyone can tell. Next week we will tackle Canadian Junior B hockey.